Just before printing any document there’s always a need for simple modifications to the documents like the Footer with your information, Date, Watermark.Simple modifications get missed untill the priting.PriPrinter a simple but handy tool that lets you preview a print job to make sure it looks absolutely perfect and add simple modifications to the print document instead of the original.The priprinter interface has a similar Ribbon like the MS Office.The ribbon has 6 tabs Page Layout, Effects, Insert, Crop, Forms and View. Set Document Footer with macros. Remove Graphics like Images before printing. 3 Themes and 5 views for document preview. Print pages into image files. JPEG,TIFF, PNG, TGA formats are supported. Text selection in preview window. Loupe – Magnifier tool that can magnify pages from 10 to 6000 percent. In your application select File > Print command and Select the “PriPrinter” from the Print dialog box and click Print or OK. Select Printer at “Right Top Corner” and Select “Print Now”. 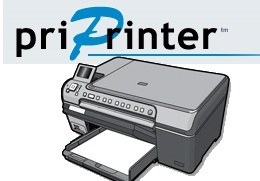 PriPrinter is compatible with Windows XP, Vista and 7.